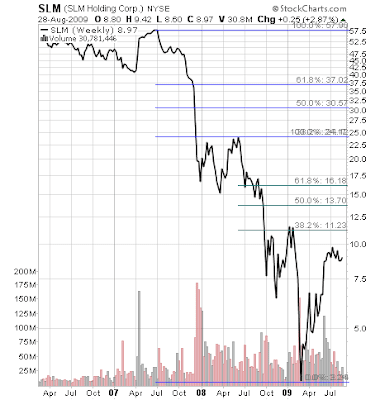 Fibonacci is here to help us understand what may happen. 1.272 is a derivative fibonacci number that always seems to popup in natural series movements and is a common target for me in trading. 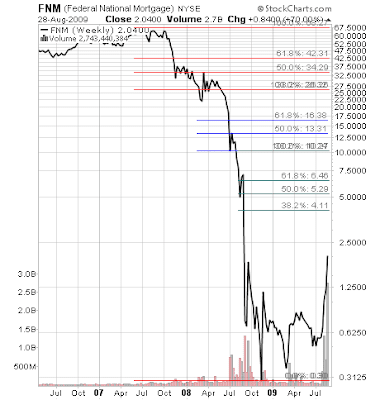 As you can see in the charts below 27.2% is a good number to remember as a retracement target. 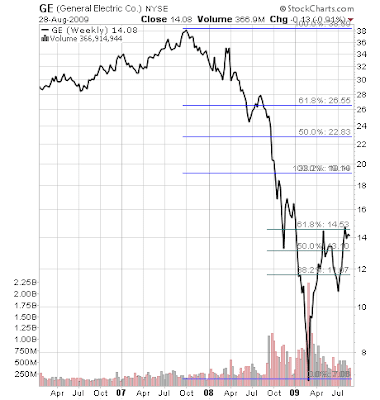 In this post I want to illustrate that nearly every major bankruptcy or insolvency was or is being preceded by a substantial rally. Even insolvent institutions like Bear Stearns, Fannie Mae, Sallie Mae and GE have reflex rallies tied with their final unwind. Debt satisfaction creates a demand for dollars. Demand for debt satisfaction creates a demand for dollars. Bankruptcy reduces the number of dollars available to use to satisfy debts. Asset deflation reduces the theoretical amount of dollars available to satisfy debts. I have included a projection of the dollar with regard to what i think is the most likely movement of the next few years. The scaling of time relative to the last 80 years is not accurate...but the concept and the target date of 2015 is reasonable. Keep in mind that if the dollar short squeeze produces even a portion of this kind of reaction...we are looking at price s returning towards 1945 levels...Wasn't gas something like 20 cents a gallon then...just a wild guess. In any event, the dollar does go to ZERO or very close in my opinion - but needs a huge short squeeze first. That means redeeming all the dollars people traded that they don't actually have - in the form of credits. 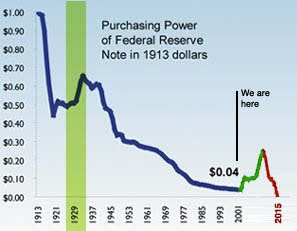 Please note that my projections are the green and red line on the dollar chart below.